after talking so much about the good Italian food and the amazing Italian pastries I thought it might be fair to offer an actual recipe. 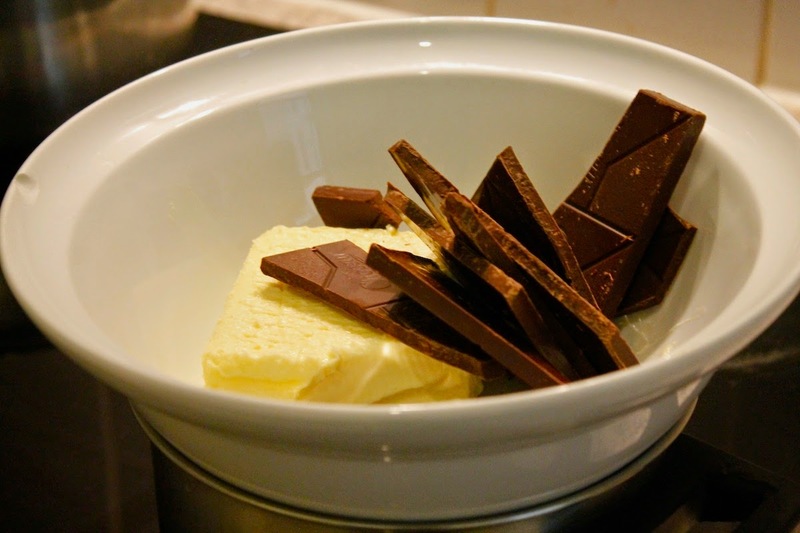 Start by melting the the butter and the chocolate over a pot of boiling water. Beat the eggs and the sugar until frothy. 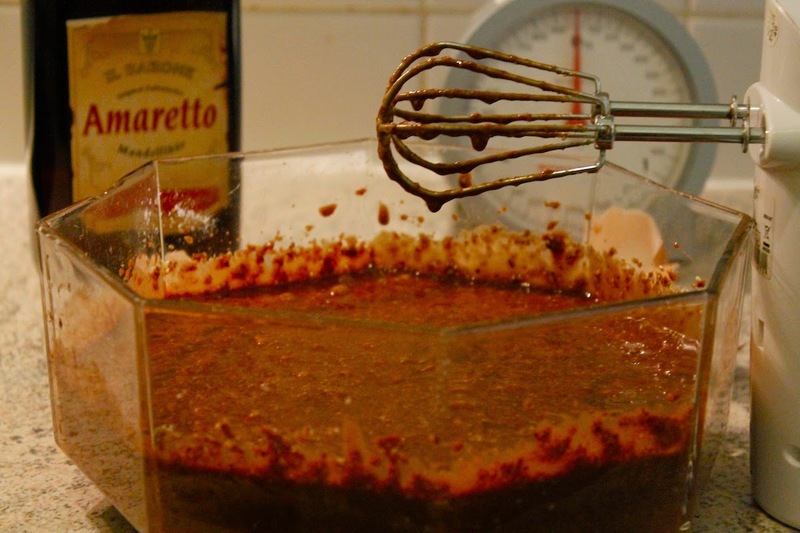 Add the melted chocolate-butter-mixture and then one by one all the other ingredients using a mixer. 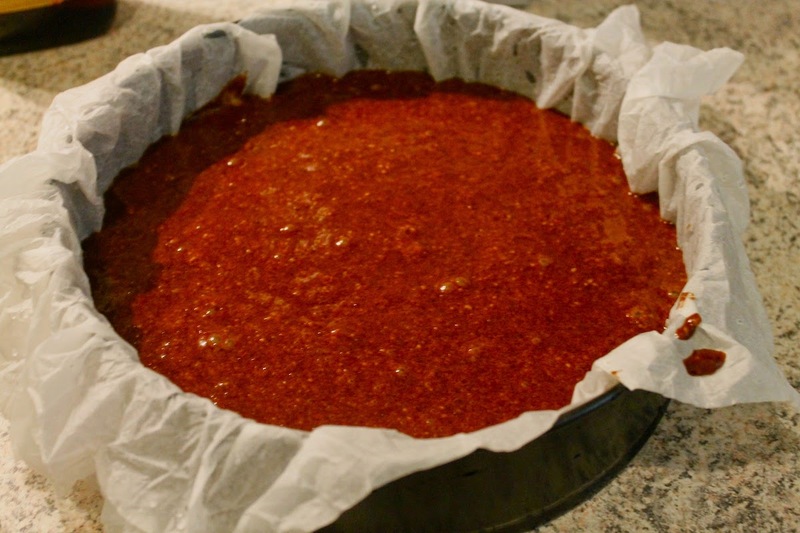 Cover a springform pan with wetted baking paper. 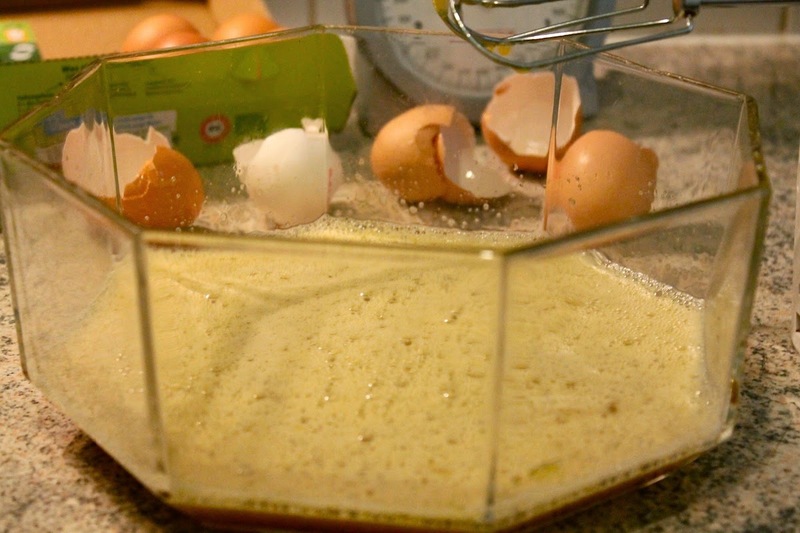 Fill it with the batter and put into the pre-heated oven (170°C). After 45 minutes lower the heat and continue baking for another 15 to 20 minutes. 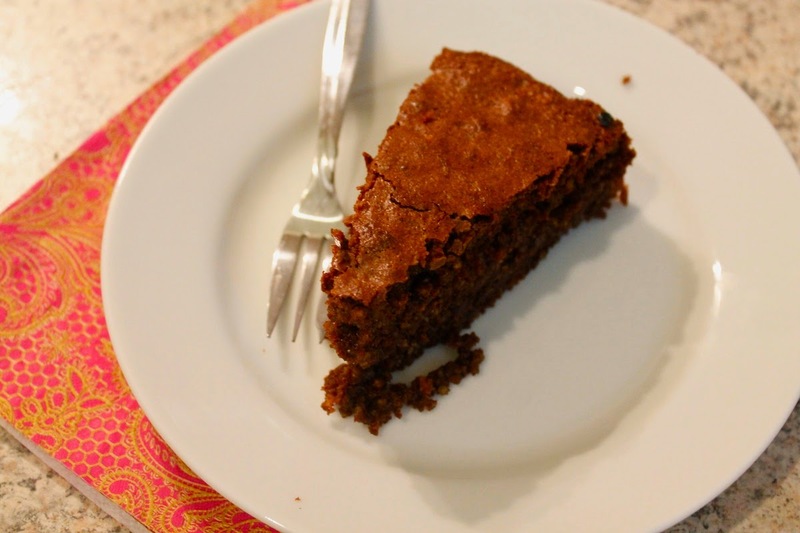 PS: This post was also added to Karly's Create & Share DIY and Recipe Party on her lovely blog three in three.